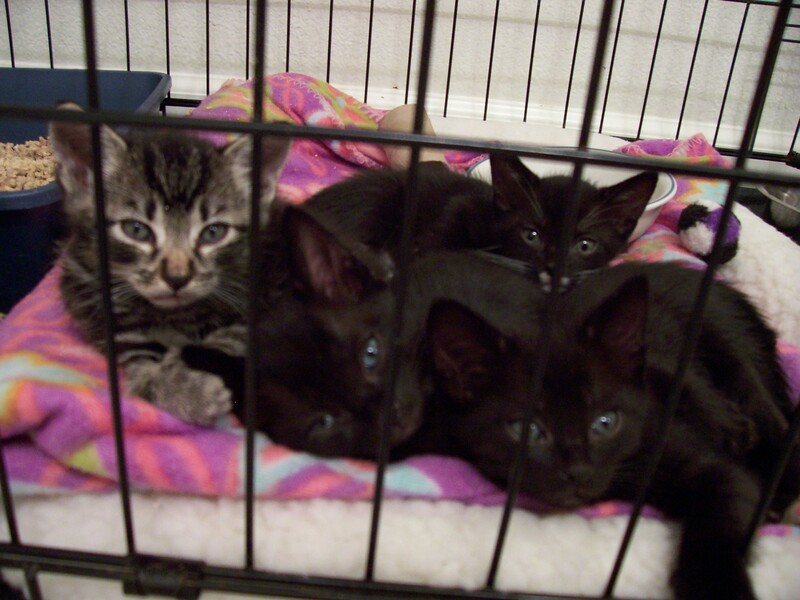 Are there any costs to fostering kittens? If you foster a cat for a verified nonprofit shelter, you can claim it on your taxes. 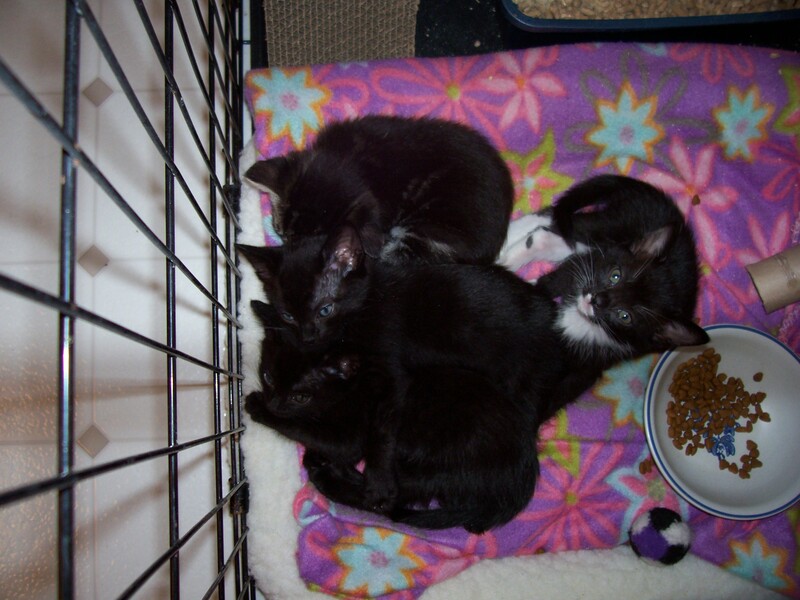 We know that #2 had extensive experience with taking in stray cats & kittens and getting them to good homes. Good on ya! #2’s experience was very expensive and someday she’ll post pictures of the kitten-destroyed master-bathroom that cost ~$600 repair (on top of vet and food bills). #1 has started a slightly lower-stakes fostering experience with a no-kill cat shelter that ultimately has responsibility for the kittens. Yes… kittens! There is another one, but she is sick and so she is with the foster coordinator right now, getting extra meds and care. These ones are on antibiotics, which are supplied by the shelter. The shelter also supplied some chicken baby food to mix the antibiotics into, although I will have to buy some more. They supplied me with several weeks’ worth of crunchy kibbles and about a week’s worth of kitten-safe litter (I have already bought more). I have to bring them back to the shelter periodically for free check-ups and vet care. They are actually 2 litters that were put together. I think they may be around 6 weeks old. Don’t know what happened to their mommies. They weigh, on average, about 1 pound and 4 ounces each. They come in this big crate (it folds up) where they sleep and play. The shelter provided the bed, blankets, litter box, and water dish. They also sent a scale to weigh them and a thermometer for taking kitten temps, along with an extra litter box and a handbook of what to do. They also have a carrying cage. I let them out to roam the bathroom and play, and they have supervised time in the living room when we can watch them. We are getting lots of mileage out of a toilet paper tube, cardboard boxes, and a plastic Easter egg. They also have a couple balls to chase, and each other to wrestle. I bought them a cardboard scratching post for around $7, and I trim their claws for my own comfort when they climb on me. We are doing a fair bit of laundry because they occasionally have potty accidents (they are just babies). And running through quite a bit of hand sanitizer. That’s it so far, though! Your local shelter needs you. Donate today. Apologies for not a lot of links this week. One of us has been on a deadline for an overdue writing thing and the other is traveling. Notes from my writing: Hey PubMed, you’re awesome and all, but your “export citation” function is kinda broken. Save me, ScienceDirect! Also, young lovers over here whispering in the library: assholes, leave the quiet area. You would be less disruptive if you actually talked. YOU KNOW I CAN HEAR YOU, RIGHT? Just go make out in private like the rest of us did. How can you tell whether you’re being objectified or whether you’re an empowered woman? This handy cartoon explanation is a start. NPR doesn’t get it. On Twitter, exhaustion with sniping. Georgia Dunn, the artist who draws Breaking Cat News, had a baby! Childcare conundrums. Babies better than tattoos? One of us prefers babies, the other of us prefers tattoos. Financial relief over at What Now. Stiffer rules to protect retirement money. (heheheh they said “stiffer”) Republicans want handouts for millionaires, what a surprise. Tough choices: mathematician just loves hitting people. These are from One for the Books by Joe Queenan. A friend once told me that the real message Bram Stoker sought to convey in Dracula is that a human being needs to live hundreds and hundreds of years to get all his reading done; that Count Dracula, misunderstood bookworm, was draining blood from the porcelain-like necks of ten thousand hapless virgins not because he was the apotheosis of evil but because it was the only way he could live long enough to polish off his reading list. But I have no way of knowing if this is true, as I have not yet found time in my life to read Dracula. The book is pretty funny, although the author’s taste in books leans heavily towards male writers. I will probably re-read this book. Stay tuned tomorrow for even more about books! 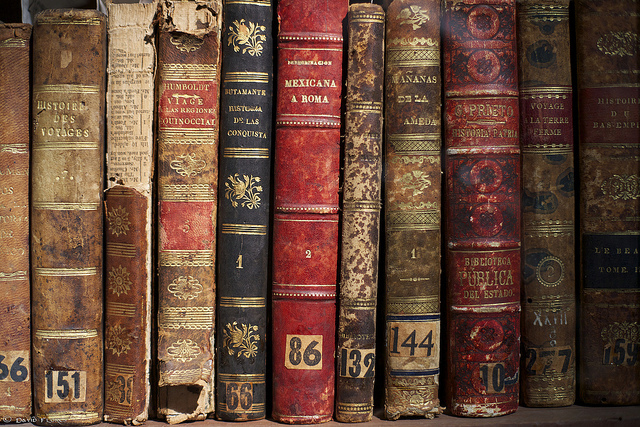 in the meantime, do you have any quotes about books or reading? Have you read anything funny lately? Share in the comments! We’re in a seller’s market right now, so the realtor says he could sell our house in a month, which is probably true. But then when we came back in a year we’d have to *buy* a house and I seriously doubt it will be a buyers market at that point. So yes, we could take this opportunity to downsize and to move into a better elementary district, but all the time spent buying and selling and buying (or renting and buying) sounds like a nightmare to me. So we’re just going to try to rent out the house. The real estate agent thinks we can get $2,800/mo for our house but I seriously doubt that’s the case. The comps he was showing are in better elementary school zones and the houses probably aren’t falling apart quite to the extent that ours currently is. They have nicer lawns too. And it’s unlikely they’re one year rentals, which is always bad for people who want, you know, longer than a year. Also we’re not supposed to rent to students, though we’re fairly sure someone on our block is now doing just that (6 cars in front is generally a hint). Covering our costs if we put things in storage will be $2,200 + management fees. Of course, about $1000 of our mortgage goes to principal these days so really we’d be covering costs with more like $1,200 + management fees. Craigslist is no help on pricing because nobody with a house as nice as ours posts on Craigslist in our town, so Craigslist rentals tend to top out at $1650 or occasionally $2000 for houses that have the same number of bedrooms as ours but are more in the 2000 sq ft range vs 3000. Houses like ours are all listed via MLS. Fortunately, so long as we keep under $5K/mo in Paradise City, we don’t need to actually rent out the house at all and could even hire someone to house-sit for us. So we’re not desperate for rentals to go through. But still, I’d rather ask $2,200 and have the house get rented than ask $2,800 and have to keep in on the market until September or forever. We are listed on sabbatical homes and on the university housing available webpage, but no pictures yet (other than an old one of the outside) because our house is a mess and we haven’t had a chance to take pictures. Nobody has contacted us to ask any questions. I’m tempted just to wait until the summer and we’ve figured out where we’re going in Paradise City. Then ship what we’re going to ship and store what we’re going to store, and then list the place. I suppose in the worst case scenario, the management company can keep it furnished and then rent it out for huge amounts of money on gameday weekends. Have you ever tried to rent out a home? Any tips for short term rentals? First, a brief illustration of what happens when your dog learns to text. Have you tried… excessive sleeping? I did, and it changed my life! Sometimes you just gotta enjoy your cold. This is a jar full of major characters, not to be confused with binders full of women. So, you’ve been publicly shamed. Even more about goddamned cakes (or no cakes, as the case may be).